Your life has Purpose, Worth, and Value! I am a published author, community educator, professional communicator, and experienced leader. I have two non-profits that have garnered nation-wide attention and participation. Serving others and transforming those around me is my top priority. Jefferson “Jeff” Noel is a young Haitian-American community educator, born and raised in Miami, FL. At the age of 18, Jeff Noel has pursued Entrepreneurship, opening his first storefront business—Noel’s Healthy Living. He has since written numerous articles online, and has published his most recent book “Powerful Presenting: How to Overcome One of the Nation’s Greatest Fears.” In 2016, Jefferson founded Barbershop Speaks— an organization dedicated to engaging in intelligent discussions inside Barbershops and Beauty Salons to enlighten, educate, and empower the community. Additionally, Jefferson created a national resource called Leaders Accelerating National Excellence (L.A.N.E.). This platform connects high school students with student leaders from around the country for the purpose of advancing the youth on their quest to graduate. L.A.N.E has participation from Harvard, Princeton, Purdue, Clemson, Rutgers, Georgia Tech. and 50+ more universities in the nation. Jefferson has been featured on WSVN, NPR, WLRN, Aventura News, The South Florida Times, and the Miami Times. He is experienced in the areas of Public Speaking, Servant Leadership, Education, and Entrepreneurship. His efforts in the community led him to receive the Revolutionary Leadership Award, Outstanding Service Award by FIU, New Generation of Dreamers, the Young Adult Action Award by HANA, The Young Professional Haitian- American Top 20 Under 40 distinction, and many more awards and recognition. 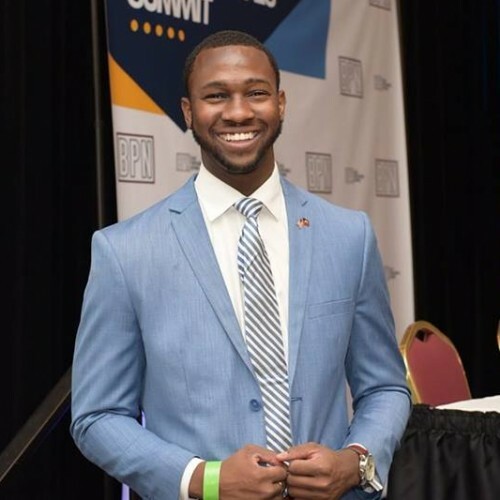 He is a distinguished World’s Ahead graduate from Florida International University with a Bachelors in Communications and is currently pursuing a Master’s degree in Global Strategic Communication. Jefferson currently serves as the President of the Student Government at Florida International University-BBC, he is a member of FIU Foundation Board and chairs a committee with the Florida Student Association which is a governing body of twelve state universities that comprise of four hundred thousand students. Find out more about Jefferson Noel at http://jeffersonnoel.com.